You can have the color of the pillow's trim of your choice. Currently available colors are white, yellow, orange, pink, red, wine red, green, dark green, dark blue, gray, dark gray and black. Our decorative pillows have zippers which makes washing of the pillowcase easy. We will choose the color of the zipper to match the fabric and trim. Currently available colors for zippers are white, beige, red, dark gray and black. If you would like to choose the colors of the trim or the zipper, tell us your choices in the comment field of the order confirmation. Pillowcases can be machine washed in 60 degrees and we recommend ironing after washing. For inner cushions the recommended washing temperature is 40 degrees. The price of a decorative pillow includes an inner cushion filled with non-allergenic polyester wadding. 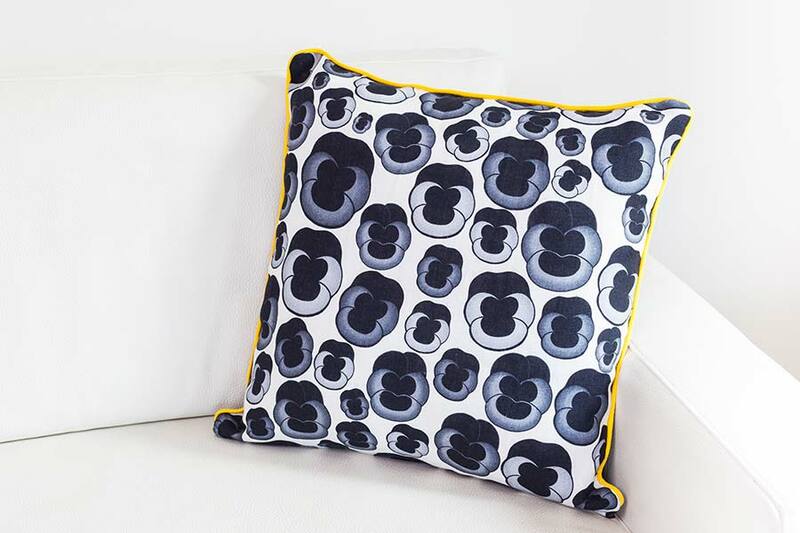 If you don't want an inner cushion, use coupon code NOCUSHION in checkout and you will receive a discount of 4 euros for each pillow you order. If you wish to change the standard inner cushion into down filled cushion, use coupon code DOWNCUSHION in checkout and an extra 5 euros for each ordered pillow will be charged.